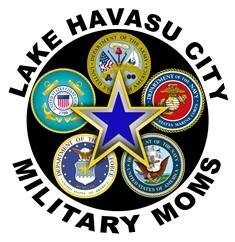 Military Moms meet the fourth Wednesday of every month (except November and December) at 6:30 p.m. at the London Bridge Resort 1477 Queens Bay, Lake Havasu City. Meetings usually last about an hour. If you wish to join Military Moms, download the Membership Application (Click Here) and bring it with you to a meeting, or mail to P.O. Box 2771, Lake Havasu City, AZ 86405. If you have a child serving, or who previously served, please also fill out the Troop Information form.